Imagine a legislated brotherhood of business where favored businesses get to go to the front of the line for permits, licenses and opportunities merely because they agree to advance the principles of Sustainable Development and Agenda 21. SB 26, the North Carolina Benefit Corporations Act contains boilerplate legislation from B Labs. View B Labs Statement of Purpose and Declaration of Interdependence here. The following points are applicable to activists or concerned citizens who want to understand why they should oppose Benefit Corporation legislation in their States. One of the goals of Agenda 21 is to create a system of corporations that partner with governments to achieve Sustainable Development objectives. Across the nation, model legislation is being proposed to the individual States by a pro-Sustainable Development organization (B Lab) for the purpose of creating a “new type” of corporation that will support Public Private Partnerships (PPPs) and Sustainability objectives. Those objectives are anti-liberty and anti-free-enterprise. The corporation is called a “Benefit Corporation” (B Corp). The originators of this legislation are so ambitious that their plans include the vision to create a public stock exchange for B Corps. The North Carolina version of this model legislation is SB 26, The North Carolina Benefit Corporation Act. Although the word “sustainable” is not found in the bill, the concepts are clearly there. 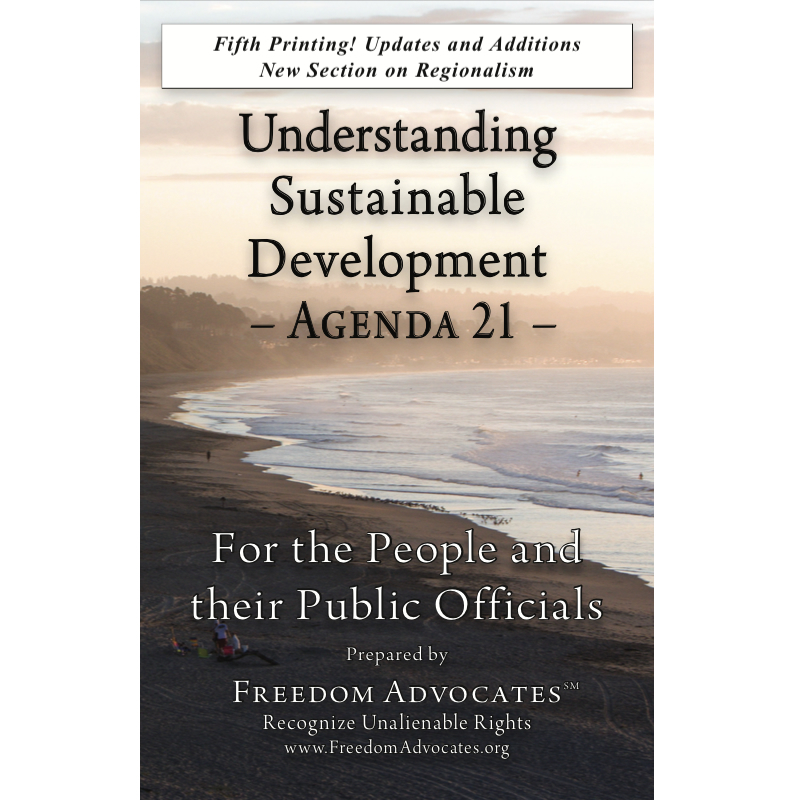 This bill can be traced back to the key advocates and creators of Agenda 21-Sustainable Development. Read why SENATE BILL 26, The North Carolina Benefit Corporations Act MUST BE STOPPED! Wynne Coleman lives in Raleigh, North Carolina. As the daughter of a Brigadier General in the United States Army, she traveled extensively, then lived in New York City for 19 years before settling in Raleigh. She has degrees in piano performance and in the visual arts. She is an activist and researcher in support of the U.S. Constitution. She assists her husband in teaching a free 12-week Constitution course. Since 1992, she has been exposing the dangers of Agenda 21-Sustainable Development. She was appointed by the Wake County Commissioners to represent the Wake County Taxpayers Association on the Wake County Sustainability Task Force in 2010-2011.